The essential addition to the Premium Doctoral gown, a hood further distinguishes the wearer's degree level and specialty. 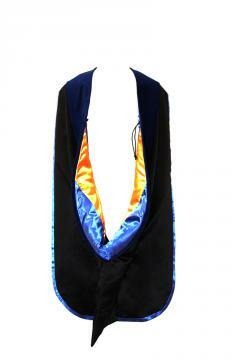 It is put on over the head, rests on the shoulders and hangs down the back displaying the various colours. A cord to attach the hood to an inner shirt button is included. Several colour combinations available.